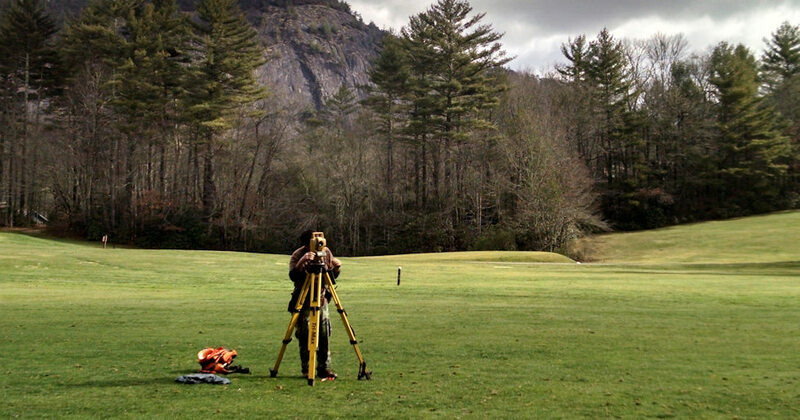 These are a few of the frequently asked questions that we get about surveying in North Carolina. Although each survey has specific components based upon what and why something is being surveyed, we hope this will help to answer your general questions about surveying in North Carolina. 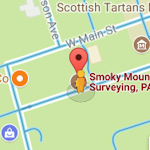 Please contact Smoky Mountain Land Surveying us if you need specific answers for your surveying needs. Thank you. Just like you do any other professional or tradesman. You hire based on their experience and the experience of their technicians, their work ethic and the work ethic of their technicians, their qualifications and their years in business. You hire based on recommendations from others. You hire someone you trust, someone you feel is giving you the information you need and someone you feel wants your work and is willing to work with you. You hire someone who enjoys their work and is proud of the work they perform. This may be the most common first question people ask when calling about a survey. If one considers all the work, education and experience that goes into producing an accurate survey, this is probably the last question they should ask. Either you need a survey or you don’t, and if you do, one of the last things you want to do is base your decision solely on who provides the lowest price. Regardless of what most people think, not all surveyors provide the exact same quality of service. All surveyors should be completing the work to the minimum standards required by law and most surveyors I know meet that standard and more. Buying a retail product at the cheapest price is much different than picking the cheapest service contractor, whether it be a mechanic, a carpenter, a roofer, a plumber, a surveyor or any number of other service providers or professionals. If you’ve called about a survey you already have a good idea that you need one. If you simply need one boundary marked that you are concerned about because you’re planning some improvement near that boundary, you might not need all of your property lines surveyed. Similarly, if your architect or engineer has asked you to provide a topographic survey of the lot they are designing for, a contour map of the immediate improvement area may be all they need, not a map of all your property. Before quoting a price for a survey, I will spend a few minutes asking and answering questions so that I can recommend the service you need. When you call asking about a survey, I ask for the Parcel Number or 911 address so that I can look at the aerial photograph of your property while we discuss your project. If you’re buying a home and are financing that purchase, you may need more than a boundary survey. Most lending institutions not only want a perimeter survey, but a location survey as well. They want to know if the house, driveway, well or other improvements they are financing are actually on the property you are buying. In many subdivisions, the parcels are subject to building setback restrictions and if they are, the bank will want to know if the placement of the house violates one of those. As a potential owner, you want to know that as well. Even if you have other means of borrowing money, the next buyer of the property, the one you hope to sell it to one day, may have to use a bank. If the location of the improvements violate a recorded restriction, a bank may be reluctant to loan money for the purchase. I have known several people over the years who have put off getting a survey until life returns to normal sometime after the closing. When the survey is finally ordered it reveals something that made the property less desirable or less valuable: a property line closer to their house than what the seller represented, an unused easement across their lot to other properties, a well situated on someone else’s property or in a road right of way, the house or outbuildings situated on the road right of way or encroaching across a building setback line, their nice fence located on the neighbor’s property, and the list goes on. Clearly some of these conditions might not have caused the buyer to reconsider the purchase but they might have made the property less valuable which could have resulted in a reduced cost of the property. I never try to sell someone a survey. Instead I try to explain what their options are and let the client make the decisions. But if you know you are going to get a survey after the purchase, I strongly recommend having that work done prior to the purchase instead. So how much does a survey cost? One of my former employers once told me…..”Economics plays a role in everything”. Most everyone understands the statement made by Benjamin Franklin that “Time is Money”. When we price a survey, what we are really trying to do is estimate the amount of time we will spend preparing your survey. This amount includes: 1) The time it takes to gather all the pertinent recorded documents, not only of your property but those of your neighbor’s properties, 2) The time it takes to trim a line around the perimeter of your property and accurately measure those boundaries, 3) The time it takes to go back to the site after the initial survey and replace missing property corners and paint your property lines, and 4) The time it takes to prepare a recordable survey plat of our findings. And not only do we have a lot of time invested in your project, there are obviously other fixed costs that all businesses have to contend with. Will our price be more or less than the next surveyor you call? That answer depends on several other factors, factors that influence our time at the site and the cost of the work. 1) The date of the last survey could impact the cost. Since we are using recorded measurements to locate your property corners, a more accurate last survey will make the work go quicker. 2) Dense underbrush, steep or rocky terrain or other adverse site conditions will increase our time at the site while open wooded areas or cleared fields will decrease our time. 3) The larger the parcel means more perimeter to survey and more time at the site. 4) Other factors might include missing property corners, longstanding disputes with the neighbors or the type of survey requested. We’re not always going to have the lowest estimate but we’ll not always be the highest either. If we’re lower than the other surveyors you called it might be that we’re more familiar with the area your property is located in or we have past surveys of one or more of the neighboring parcels or we know that our experience, equipment or personnel is better suited for this particular job, and the list goes on. At any rate, we welcome the opportunity to provide a quote for the service you need. Should I have my property surveyed? Parts of this question have been discussed above but I usually give people the short answer when asked this question. You need a survey if: 1) You are concerned about where your property lines are, or 2) Your bank is concerned about where your property lines are. There are of course many other reasons for surveying but most of them have their roots in these two. One of the largest investments people make is in their home or land. In our opinion, each landowner would benefit from having a survey of their property to insure they are getting what they believe they are getting and to have an accurate mathematical or geographic description of where their property corners can be found. But since economics plays a role in everything and since most people don’t have an endless supply of money, they might opt out of the survey and spend the money on needed improvements to the house which could be a very legitimate reason for not having a survey. After all, if the house needs a roof to make it viable, and funds are limited, then the decision not to survey might be the right one. Yes, there are many different types of surveys. If you are a residential homeowner, your survey may be different from a survey needed by a commercial contractor or a government agency. You can learn what type of survey may best fit your needs by reading about our surveying services in Western North Carolina. Do you use GPS equipment? Can’t you just use your GPS equipment to find my corners? Yes and maybe no. We have the ability to use our GPS receivers both in a base-rover or standalone rover configuration. The one unit will work independently if there is cell phone coverage in your area while the other system is used if no cell coverage is available or if the project site is remotely located from a N.C. Continuously Operating Reference Station (CORS). GPS is a great tool for determining the geographic positions of your property corners, for general location work or for setting survey control monuments on larger projects. But unless your property corner has an assigned set of N.C. Grid Coordinates, we can’t independently, without any other data, set your property corner with the GPS receiver. If you have a survey that is referenced to the N.C. Grid Coordinate System, we can calculate a set of coordinates for the missing corner and find it or the point where it was once located if it has been destroyed. The commercial use of GPS by just about everyone is expanding the technology and one day in the future it may take the place of conventional survey instruments. Right now, with today’s technology, the ability to routinely determine accurate geographic positions under heavy tree canopy and extreme terrains is limited. In other areas of the country these conditions might not be present but here in Western North Carolina we are blessed with those things that pose a problem for GPS data collection. The survey is good as long as someone will accept it as the truth. That may not sound like a good answer but it is. As long as the subject property is intact, with no additions to it or parcels carved from it, the survey remains an accurate representation of your property boundaries. If you want to use a 2018 survey to borrow money in 2028 to refinance your property and improvements, your lending institution might require you to have a more current survey made. If you sell the property in 2028, the buyer will probably want a more current survey made for his own peace of mind. No one knows what has happened on the property in the 10 years since the last survey was made. While the property description is still accurate, without “boots on the ground”, the new buyer won’t know if some action, either by design or accident has altered the location of the property corners. What do I get when a survey is completed? The end product of a boundary survey is just a piece of paper, right? That’s one way of looking at it and if you have this opinion, you may be disappointed that you chose to have your property boundaries surveyed. If you look at your survey as just a piece of paper you’re going to feel like you’ve been taken advantage of. After all, it’s just a piece of paper. Keep in mind that the survey plat is simply a report presented in a visual format. All of the information contained on the survey plat could be detailed in a large volume of work that the average reader, or even an experienced surveyor, would have much difficulty in deciphering. When the boundary survey is completed you will have a plat suitable for recording in the county records. But as we’ve discussed in our FAQs above, you will have much more than just a report of our work. Your visual report will be the culmination of a search of the county records for deeds or other plats that support the location of the property lines, easements, adjoining landowners, etc. The visual report will show the accurate mathematical location of your property boundaries that we have trimmed out, marked and painted. Whether you take our finished plat outside and walk your painted property lines or lay it out on the kitchen table for review, I think you will come to the conclusion that the boundary survey is much more than just a survey plat.